King bed, fireplace, TV, large bath with jetted tub for two & seperate shower, private balcony with wonderful view and cozy robes. 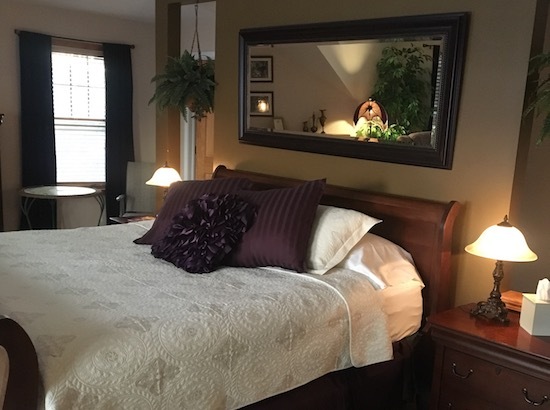 Jetted tub ONLY, no shower, Spacious room with Queen bed, fireplace, TV private balcony with beautiful river view, cozy robes. Price - $165.00 Oct. - March, $175.00 April - Sept. $190 Friday & Saturday. 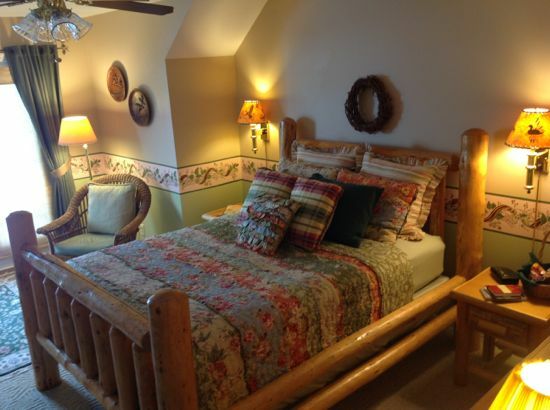 Cozy room with Queen bed, TV, bath with tub/shower, private balcony with awesome river view. Price - $155.00 Oct. - March, $175.00 April - Sept. $190 Friday & Saturday. 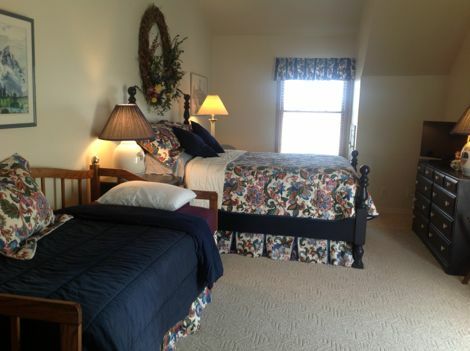 Large, private guestroom in the carriage house. This is the only room which allows pets. 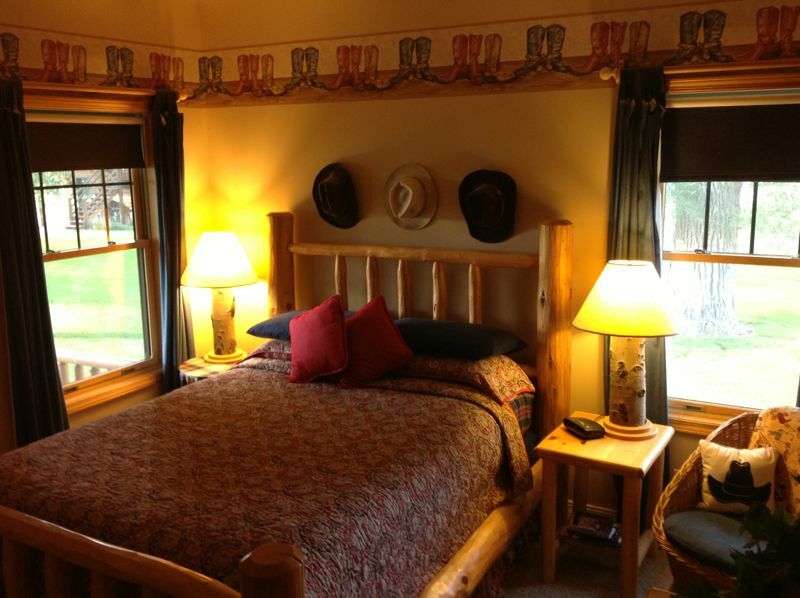 Includes a queen-size bed, a day bed which has two twin beds, a flat screen television. A beautiful view of the South Fork of the Snake River can be seen from the window. 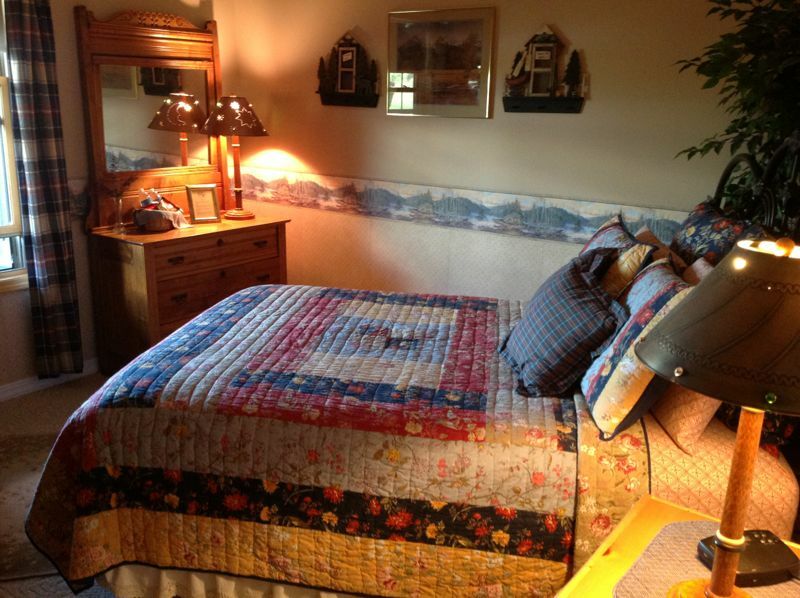 Queen bed, bath with large shower, handicap accessible, TV, cozy robes, and river view. Price - $130.00 Oct. - March, $140.00 April - Sept. $155 Friday & Saturday. 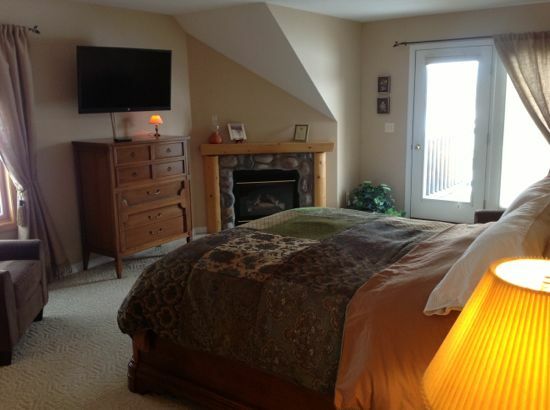 Queen bed, TV, bath with tub/shower, cozy robes, and river view. 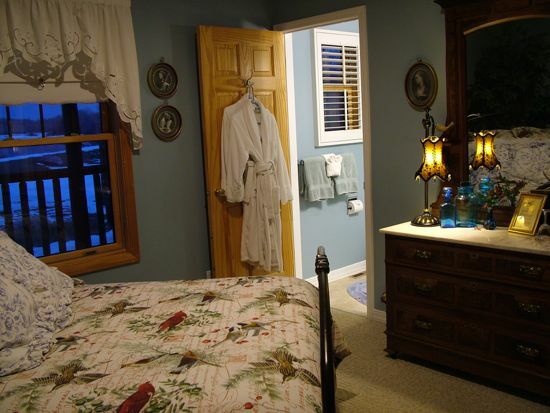 Cozy double bed, bath with shower, robes, and river view. Price - $119.00 Oct. - March, $125.00 April - Sept. $135 Friday & Saturday.